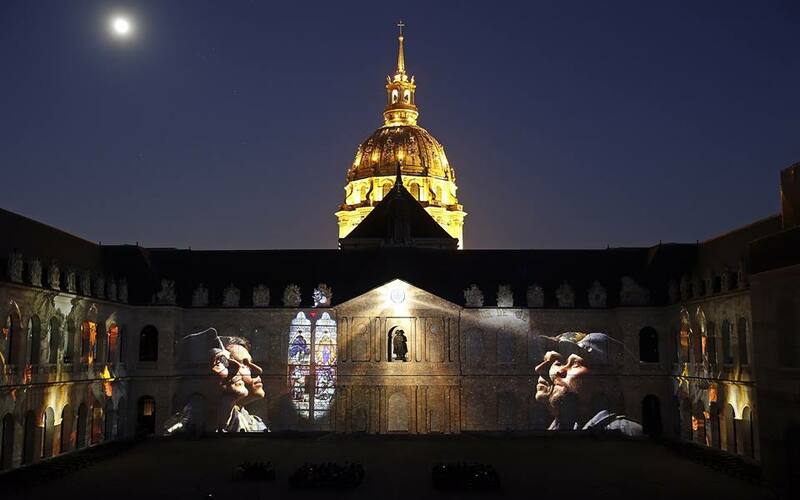 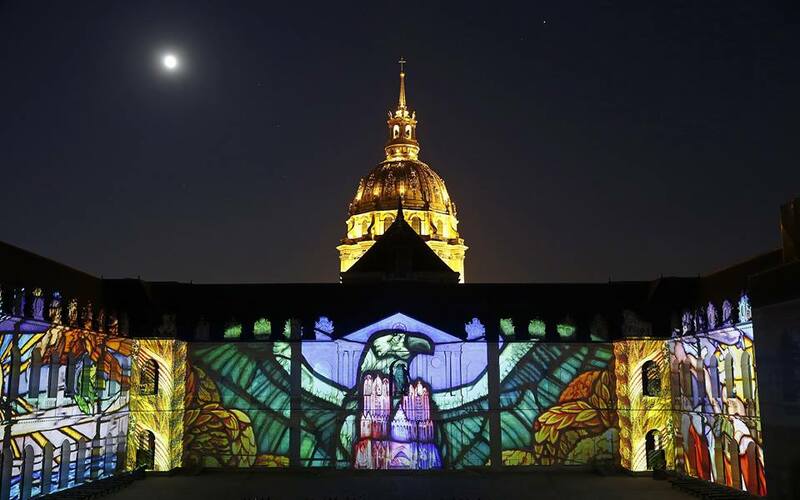 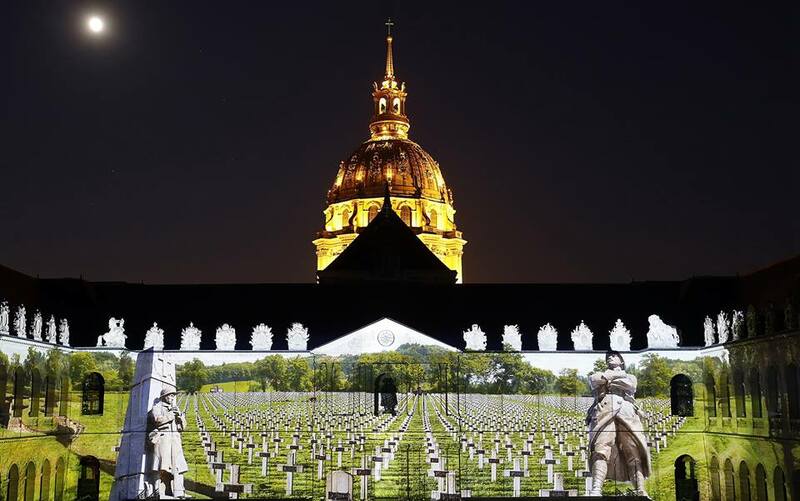 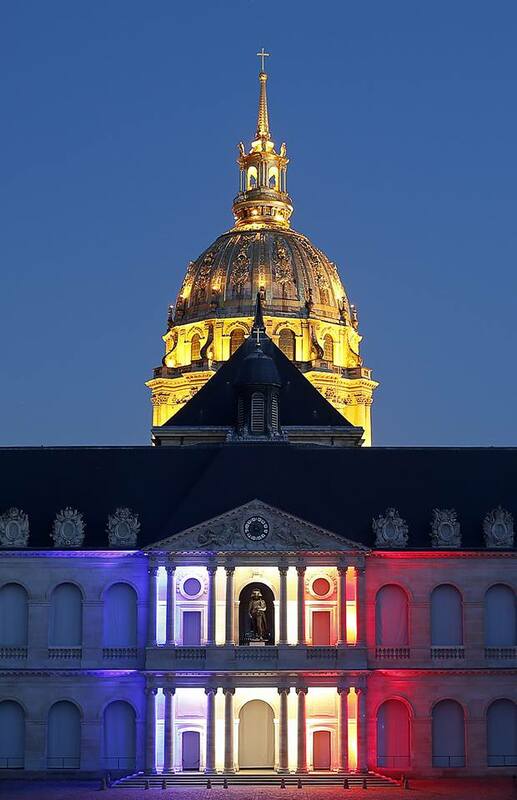 Visitors to Paris can now learn the history of World War I by enjoying a stunning light and sound show at Les Invalides. 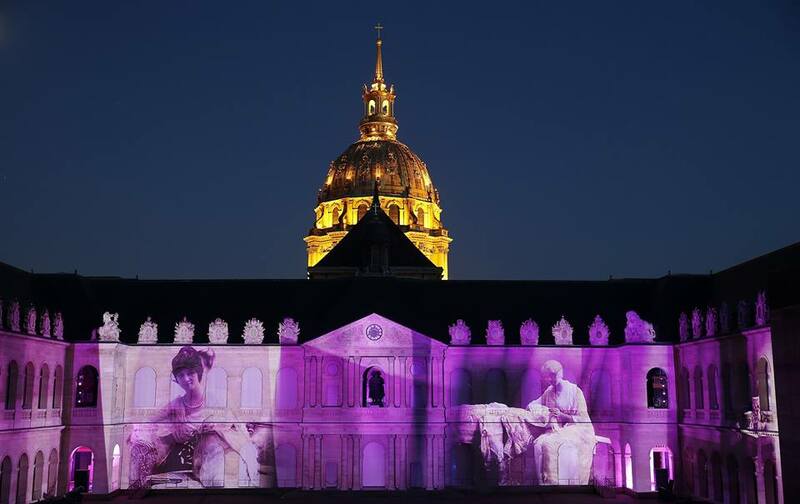 The show aims at presenting the new creation of Bruno Seillier: "1918, the birth of a new world." 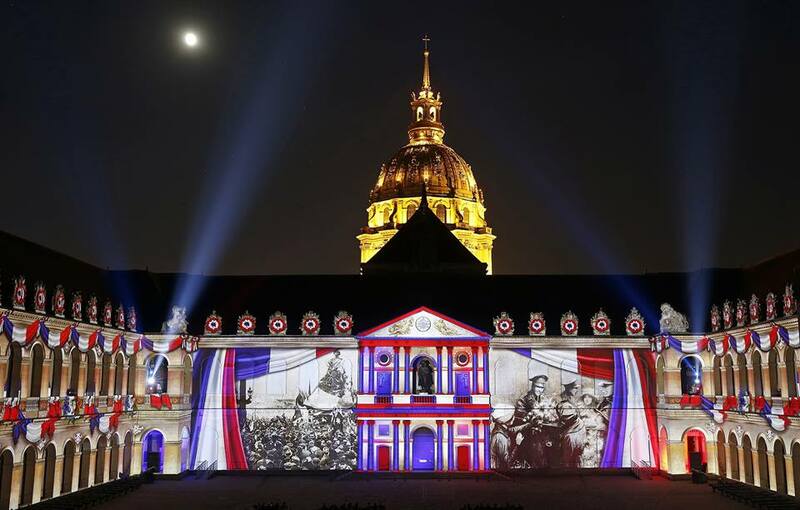 It will last from June 27 to Sept. 1 at the building featuring France's military history. 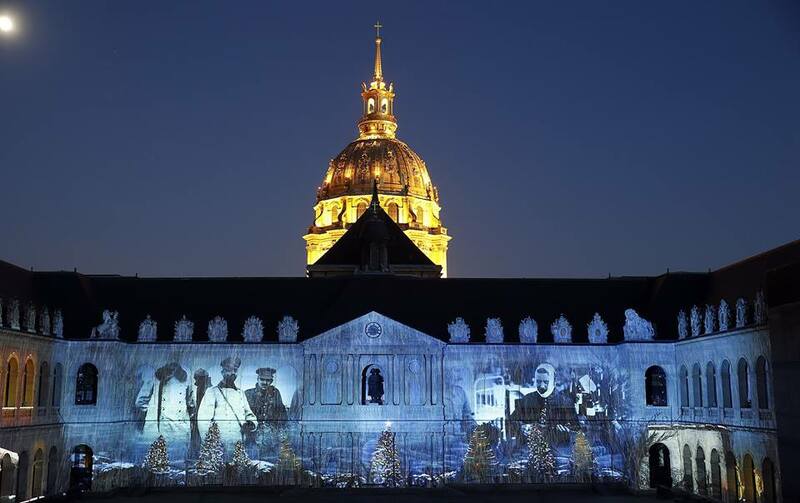 Les Invalides, a momentous complex originally constructed in the 1670s, is the site of several major historical events including the riots of the French Revolution.